"Markets, Markets everywhere, with lots of things to buy. With so many markets all around, you wonder which to try?" There are plenty of markets around the city of Melbourne to fill your shopping trolley every weekend of the year. Some specialise in fashion, arts and crafts, vintage and retro or fresh produce while others offer a mixture. And majority are free to visit. I've spend many a weekends browsing the wide cornucopia of markets and some have become repeat visits. To help you enjoy your weekends at the markets as much as I do, here are some of my favourites. Why: Located in one of the city's cultural precincts with art-paved streets like Brunswick and an active community of painters, sculptors and performers are the Rose Street Artists Market (RSAM). This is the weekend hub of Melbourne's art and design talent who band together and help breath life into boho Fitzroy. An eatery complete with a rooftop bar will keep you nourished while you browse the huge line-up of creativity in homewares, photography, art, clothing, jewellery, accessories and many more. Why: What started off as a local community market has grown in character, style and status over the years. 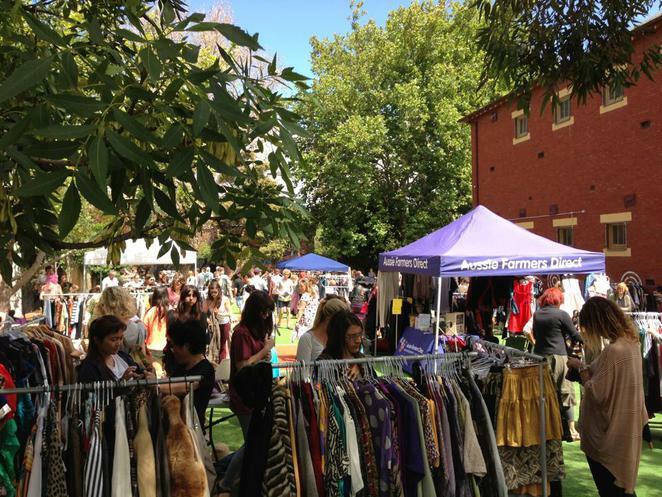 The inner city suburb market continues to raise monies through visitors' gold coins for local partners while offering a diverse range of second hand, vintage and handmade products. There are some 65 stalls in the Fitzroy Market selling anything and everything from dresses to jam to takeaway food. Where else can you find a friendly market in a local primary school? 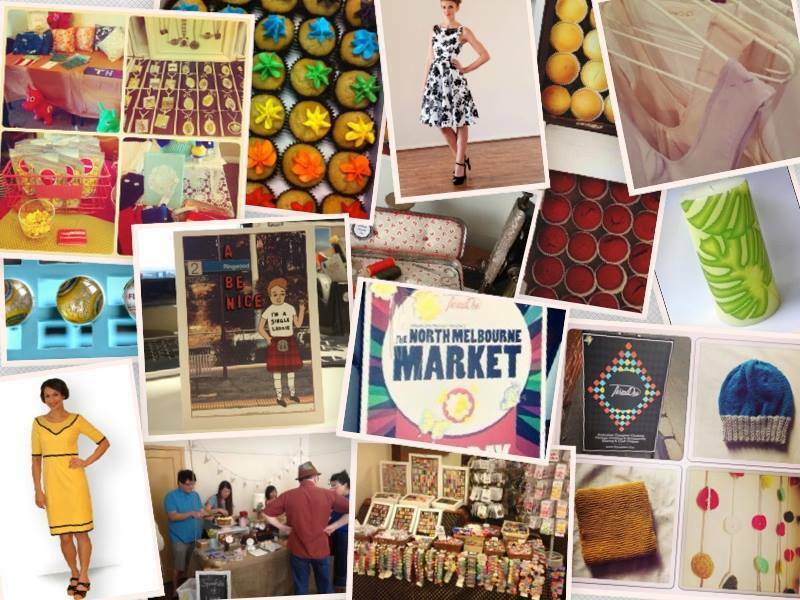 Why: This is Melbourne's only handmade market dedicated to all things up-cycled, recycled, sustainable and enjoying a beer. 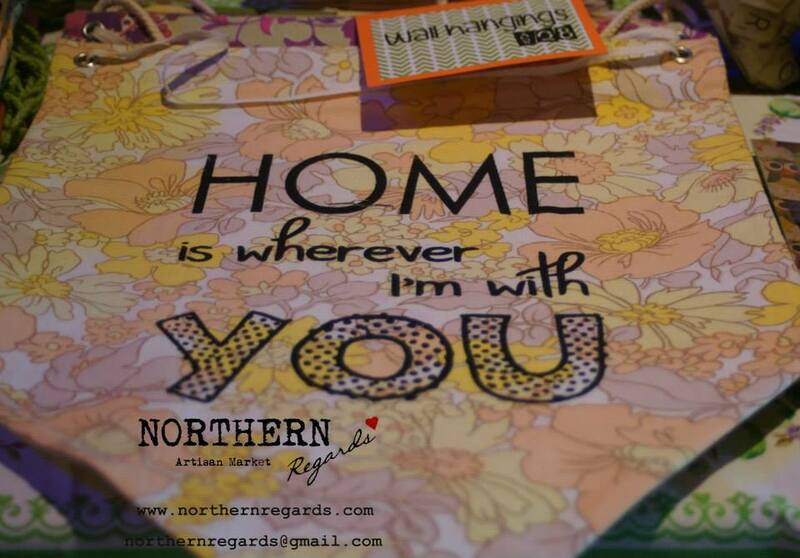 Artisans at the Northern Regards Artisan Market feature attractive and useful products created or reinvented from items destined for the landfill. Products on sale also include handmade items with natural ingredients. The result of partnership between the Thornbury Women's Neighbourhood House and Northcote Social Club, this market leads the way in being "Green". Why: Some of the best places to visit in Melbourne are underground, including a market. 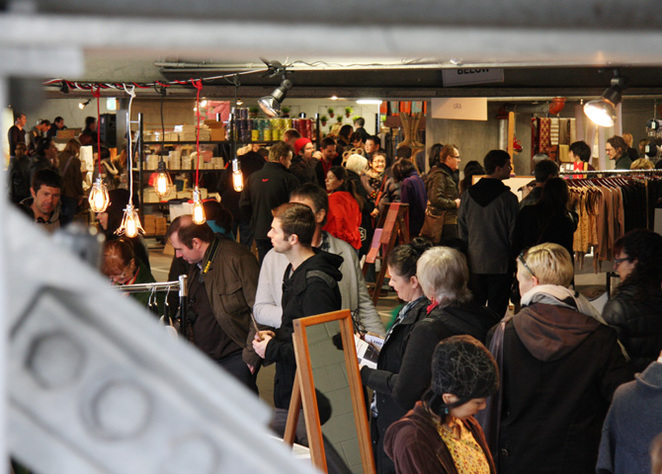 This subterranean market, originally conceived as a forum for the launch of new designs has become a design show with a regular following of designers and visitors. It features only high quality design products by design-led businesses and supports new talent. Celebrating its 10th anniversary in 2014, the Melbourne Design Market promises new designs in furniture, homewares, lighting, fashion and much more. Grab a coffee and enjoy the stroll down creativity lane. Why: Hidden away in the Fringe Festival hub that is North Melbourne is another reason why Melbourne is the best place for the Arts in Australia. Unlike other markets, the North Melbourne Market comes across as an incubator of individual artisans and creative makers. You'll find 60 small fashion and accessory labels offering handmade craft, vintage and fair trade products squeezed under one roof. Thanks the organizers Thread Den, North Melbourne is now famous for more than the Queen Victoria Market. When: One Sunday per month from 10am to 3pm. Check website for actual dates. Why: This is Melbourne's largest weekend book market with everything from history to cooking and travel to art. While the Fed Square Book Market may seem small with around 15 stalls but there are more than 5,000 new and pre-loved titles to browse. Importantly, stallholders are experienced book dealers, passionate about their collection, familiar with authors and titles, and ready to recommend a good read. Prices are also reasonable and sometimes negotiable depending on the friendliness index. Whether you're a bibliophile or just curious, there is surely a new or pre-loved book to enjoy with a cup of java at the neighbouring cafes. When: Every Saturday, 11am - 5pm. Undoubtedly one of my favourite haunts on weekends (and many a weekday), this is the market that defines the City of Melbourne. In addition to its historical and cultural influence, the Queen Victoria Market is the only market offering fresh fruits, vegetables, eggs, meat, delicatessen, clothes, shoes, leather goods, decorations, soaps, candles, souvenirs, food and so much more at reasonable prices in the heart of Melbourne. It is also one of city's festival hubs, drawing crowds eager for shopping, food, drink and live entertainment in a market setting during summer with its Wednesday Night Market and Luna 1878 in winter. When: Open 5 days a week on Tuesday, and Thursday to Sunday. Check out the website for trading hours.